As the winter weather progresses and snow continues to fall all around the country, I'm focusing on quick-knitting, super-warm woollies. 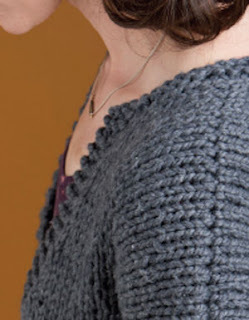 The Delight Pullover from Finish-Free Knits fits that description perfectly. This cozy pullover is ideal for super-chilly mid-winter days. It's a beautifully warm sweater that begins with the largest needle and progresses through smaller needles to draw in at the waist. The sleeve stitches are provisionally cast on, then the fronts and back are worked separately while the sleeve caps and neck are shaped. For minimal fuss, the sleeves and shoulders are joined with a three-needle bind-off. The original swatch for this design was knit in a bulky weight 100% alpaca yarn. It was so soft and had a beautiful drape in all its swatchy-goodness. But, using 100% alpaca yarn for this sweater design probably wouldn't have resulted in such a perfect sweater. 100% alpaca is known to grow, and using it for a complete sweater may result in it ending up much longer than anticipated as time goes on. I'm glad to have an editor who reminded me of this. As great as the swatched yarn was, I opted to change the yarn for the sweater to a bulky organic cotton / wool blend yarn instead—Spud and Chloe's Outer. I think this yarn is truly perfect for this sweater. It's a heavy yarn, with wool to make it super-duper warm and the cotton to add a little breath-ability—a perfect balance for warmth, but not for over-heating. Like the Warmth Pullover, that I posted about last week, this project took me a matter of days to knit. It's the perfect sweater project to knit and wear this time of year. 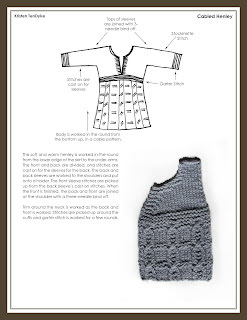 Read all posts about Finish-Free Knits. Thanks so much for sharing your thoughts! I love hearing what you have to say! Join my e-mail list Receive subscriber-only coupon codes for new patterns! Come Join me on Ravelry! New from Caterpillar Knits - Nadi Coat! 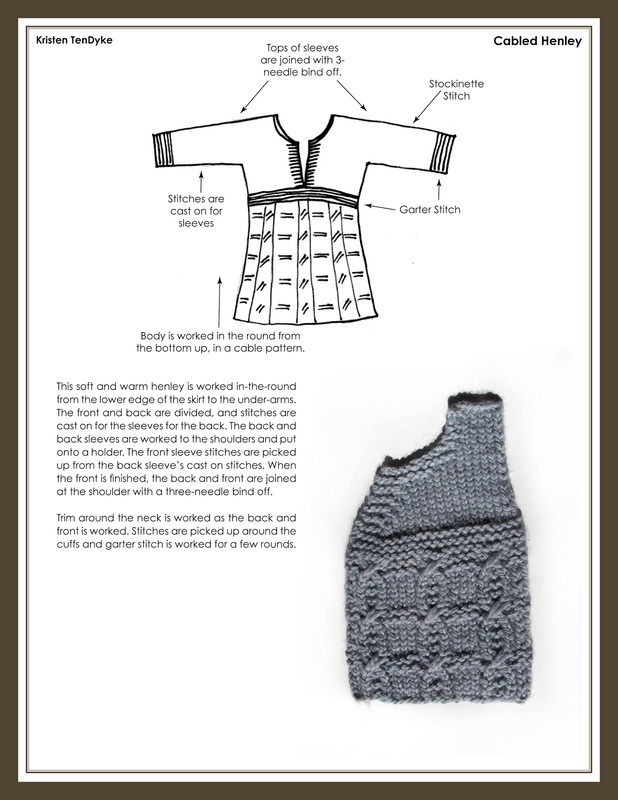 New Design, in Knit Simple's Winter issue! © Kristen TenDyke. Simple theme. Powered by Blogger.